This and more was the subject of heated discussion at a conference in December hosted by the FIDH, or Worldwide Movement for Human Rights, an international federation of 178 human rights organisations from 120 countries. 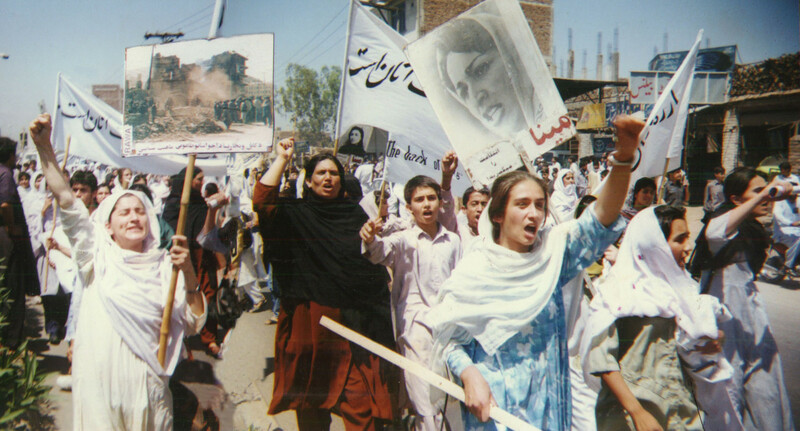 (The Human Rights Commission of Pakistan is a member of FIDH and Asma Jahangir has served as its Vice-President.) The delegates who attended were activists, academics and lawyers, from Morocco, Tunisia, Mali, Nigeria, Somalia, Sudan, Egypt, Turkey, Iran (including 2003 Nobel Peace Prize Laureate Shirin Ebadi), Afghanistan, and Pakistan. The theme for deliberation was the “Rise of Political Islam and Its Impact on the Rights of Women” in each of our countries, and how to strategize to counteract the negative effects. The simple act of facilitating exchange amongst women across these borders, complete with live interpreters translating between English, French, Arabic and Persian, felt like a ground-breaking accomplishment in dissolving barriers to unity among women. What a rare treat to listen to a quietly brave 25-year old lawyer from Somalia talk about her work in the courts to protect women victims of domestic violence, her struggle to improve their access to justice, all this when al-Shabab is stepping up its attacks on human rights activists and she frequently has to go into hiding because of their threats. In Sudan, the government of internationally indicted war criminal Omar al-Bashir makes General Zia ul-Haq sound mild. His government views women’s NGOs as a front for political organisations because they were active during the Arab Spring, which briefly took flight in that country too before it was suppressed. He now makes it almost impossible for these NGOs to register and function normally, sounding much like our government does when it attacks women’s NGOs for being western agents and un-Islamic. The Taliban ushered in a unique period of sexual apartheid in Afghanistan, said the young delegate who grew up as a refugee before returning home to attend University, but now healing is a very difficult task. While the conflict remains ongoing, most women are illiterate and the justice system is not functioning. The representative from Nigeria, a man who works to rehabilitate communities ravaged by Boko Haram, said we have to look deeper, to ask what makes violence against women in crisis-prone nations prevalent and acceptable in our cultures? How does our economic condition expand women’s vulnerability? It seems that the ideology of extremism on its own is not enough to trigger such cataclysmic decline in women’s rights, it has to find fertile soil in socio-economic conditions on the ground in order to flourish. Civil societies in Muslim countries are divided as to how they should counteract these forces. Activists, whether from North Africa or beyond, were not agreed as to whether it was worthwhile to use feminist interpretations of Islamic texts to convince their politicians and governments to enhance women’s legal status in their countries. Moderate Islam is a double-edged sword that can be used against us at any point, said a delegate. There is no concept of equality of the sexes in the discourse of the Islamists, and we should not compromise on universal human rights standards under any circumstances. This would be recommended even as a strategy in Morocco and Tunisia, where more so-called liberal Islamist political parties hold power. A key outcome of the discussions was that we as women activists need to interpret what is happening in our individual countries in the context of global politics, and in that vein we have to examine closely the role of Saudi Arabian funding and support for the spread of Wahhabi Islam in our countries. Delegates from the conflict-ridden states warned those from countries with more “liberal” Islamist regimes that they need to raise awareness about the issue now or they may regret it later. Another point of agreement was that it was important for women activists in all of our countries not to compromise on demanding a democratic form of government, even as we combat extremist political Islam. As Asma Jahangir has said, “Democracy is survival for women.” Short-term compromises in order to mitigate the effects of extremism, e.g. Egypt’s recent military intervention to overthrow the Muslim Brotherhood government, in the long run do damage and do not help the cause of gender equality. Further, the language of "equality", something that Islamic political parties are refusing to use, is something we must insist on, not to be replaced with "justice" or any other compromise in discourse.